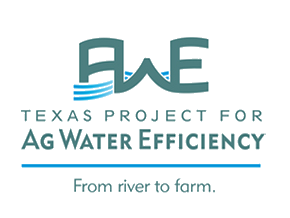 "Maximization of On-Farm Surface Water Use Efficiency by Integration of On-Farm Application and District Delivery Systems"
Now complete, a ten-year grant was awarded to the Harlingen Irrigation District in 2005, for the Texas Project for Ag Water Efficiency. The project took place in Cameron, Hidalgo, and Willacy counties. The Harlingen Irrigation District managed the project in partnership with the Texas AgriLife Extension Farm Assist Program, Texas A&M-Kingsville, Texas AgriLife Extension-Weslaco, and in collaboration with local producers. The demonstration initiative yielded lessons and insight that continues to influence water use efficiency across the Lower Rio Grande Valley, integrating state-of-the-art irrigation water distribution network control and management techniques with on-farm irrigation management in the Lower Rio Grande Valley. The project completed construction of a flow meter calibration facility and continues to focus on maximizing the efficiency of local irrigation technologies and showcasing how to implement knowledge gained from demonstration sites at the field scale. For more information visit the official project website www.TexasAWE.org; learn more about the Harlingen Irrigation District; or contact TWDB agricultural conservation.